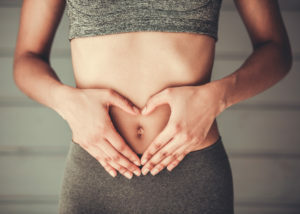 Bloating, cramping, pain and uncontrollable bowel movements—these are just a few symptoms that people with IBS, Crohns, and Colitis suffer from on a day to day basis. It can make every day activities difficult and uncomfortable, not to mention infringe on your social life. Stop suffering in silence! Fight back with a medicine that seeks to find the root cause of your illness and treat your whole body instead of just covering up symptoms. Oriental Medicine has been treating all kinds of digestive disorders for thousands of years. It is a system of medicine that involves treating the whole person—mind, body and spirit—with acupuncture, nutritional medicine, and herbal therapy. Acupuncture improves the body functions of digestion, absorption and metabolism. It not only reduces ulcers and neutralizes excessive stomach acid, but calms abdominal distention—all common symptoms of IBS and colitis. Acupuncture even addresses overeating and sugar addictions! In Traditional Chinese Medicine or TCM, the body is viewed as a complete circuit, not individual parts that function separately from each other. This is no more apparent than seen with the digestive system. TCM states that the stomach receives food, while the spleen transports, distributes and transforms nutrients. They both share the work and coordinate to fulfill the task of the digestion and absorption of food. When the function of the spleen in transporting and transforming the nutrients is in disorder, symptoms such as poor digestion, poor appetite, abdominal distention, weakness of the limbs, weight gain, and constipation may occur. The small intestine receives the food content that has been partially digested by the stomach and then completes the digestion and absorbs it. In the light of modern medicine, most of the carbohydrates, proteins and fats in the food are absorbed by duodenum and jejunum, while the bile salts and vitamin B12 are absorbed by ileum. Water and electrolytes are also exchanged in the small intestine. This is what supplies your body with most of its energy and vitality, or Qi, as it is called in TCM. Traditional Chinese nutrition recommends a diet rich in fresh vegetables and fruits for promoting health and longevity. In addition to providing vitamins and minerals, fruits and vegetables are rich in bicarbonate precursors the body needs to maintain normal alkalinity. Typical modern diets are composed almost entirely of ACID-FORMING foods, such as animal proteins, grains, legumes and salt. A team from the department of medicine and the General Clinical Research Center at the University of California, San Francisco, led by Anthony Sebastian, recently published research revealing that typical Western diets produce slight chronic systemic metabolic acidosis in humans. The research shows that such a diet accelerates aging, corrodes muscle and bone, and suppresses growth hormone secretion (which is the main hormone to regulate healthy weight), while more alkaline diets have the opposite effect. (Eur J Nutr 2001;40:200-213). So what’s next? Acupuncture isn’t a one-size-fits-all treatment. At StillWaters Healing Center we’ll discuss your diet, lifestyle and eating habits to determine what’s contributing to your digestive issues. Your sessions with the doctor will combine treatments of acupuncture and nutritional counseling. In severe cases, herbal medicine may be prescribed to manage symptoms and help reduce the amount of medication you may be taking. It can be wonderfully empowering for a patient to not only feel better and experience better digestion from acupuncture treatments, but also feel he or she has more control over how to stay healthy.